If there's one thing you can count on at a Peace it Together film screening, it's conversation. The discussion that is spurred by a film screening is always powerful, productive and valuable in its own right. The real challenge, however, remains inspiring audience members to extend these encounters into an ongoing commitment to peace-building, long after the screen has gone dark. One screening in the Middle East appears to have done just that. The city of Tulkarm. Photo credit: Waleed Jayyousi, tulkarm.4arabs.com. 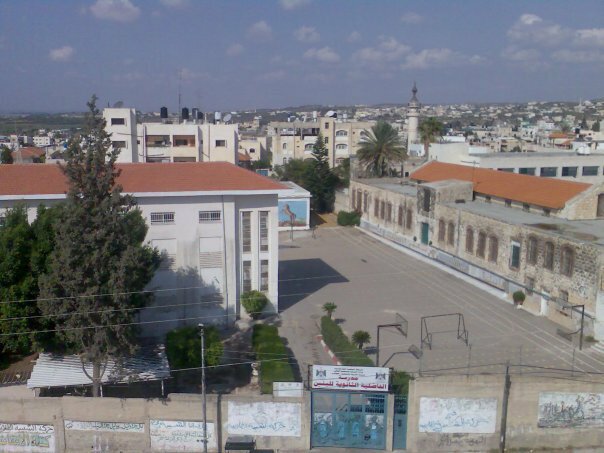 Earlier this year, all ten of Peace it Together's 2011 films were screened at the Peaceful Education Community Center in Tulkarm, a city in the north-west part of the Palestinian Territories. Over 40 people were in attendance, 95 per-cent of them young adults. The screening ultimately inspired dozens of audience members to take action. “Since the screening, I have had nearly 30 teens and young adults participate in cross-border programs and more than 50 apply for them,” says Karen AbuZant, Director of the Peaceful Education Community Center and Palestinian Coordinator, Encompass Trust-UK. Interestingly, the very same young people who are now engaged in cross-border programs were initially skeptical of the message of inter-cultural understanding put forth by the Peace it Together films. "It's really hard to think of your enemy as being human, let alone sharing traditions, history and culture with you," says AbuZant. "So [audience members] had trouble accepting the films that showed likenesses between them." Nevertheless, the films still managed to spark a sense of curiosity in the 'other,' says AbuZant, explaining that the mixed feelings produced by the film screening are what inspired these young people to consider taking part in an inter-cultural understanding process. AbuZant says the fact that the films encouraged them to engage with the 'other' is what's important. "This is the first step in the process of solving the puzzle of peace."